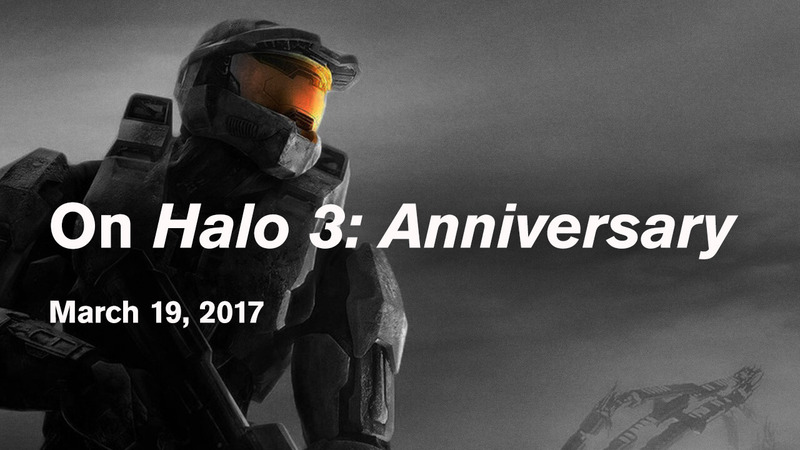 An article on whether Halo 3: Anniversary is in both 343 Industries and the community's best interests. 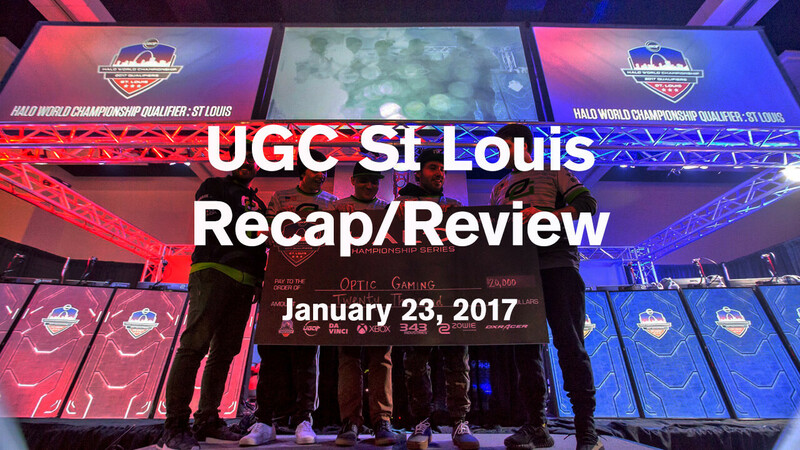 UGC hosted the first Halo 5 LAN event of 2017 live from St Louis, and it didn't disappoint. 16th November Update: Do not record your clip in Theater mode. Theater is not accurate and will not display an accurate representation of the gameplay. Highly recommend capturing your clips in real time as they happen. As good as your clip might be, the current Theater mode will not show it correctly. 1. Visit Gamed.tv and register using whichever method you prefer. 5. Copy and paste the url of the following site and post as a reply to this thread. upload the file to any file sharing website , e.g. google drive, mediafire, whichever site you prefer. then post the download link to the file as a reply to this thread. If you have either a Twitter or YouTube account, or both, please link when submitting. This will make it easier to credit you when I post your clip. I will add your YouTube channel to the description and if I'm promoting it on Twitter it will be nice to include your account in the tweet. If you have submitted successfully and your clip is good enough, it will be uploaded as a single clip to being with, but will also be considered for future Top 5 episodes. It ultimately depends on how many submissions we get, but I hope to have at least 1 Top 5 episode per month. Here is our channel, HalotrackerVids, this is where all clips, Top 5's and more will be uploaded on. - Ensure you are submitting your best clips, I am not looking for single out BRs. If you are wondering what I am looking for: impressive multikills, splatters, funny moments, etc. - Be patient, my life is not solely dedicated to checking this thread. However, I will be watching every submission and crediting those who successfully submit, regardless of it's quality. Keep an eye on this original post and subscribe to our YouTube channel to not miss any uploads! The Anvil’s Legacy free content release brings easily one of the most eagerly-anticipated features to Halo 5: Guardians – a robust new Forge Content Browser. This incredible new tool allows players to search for, highlight, discover, share, and play their favorite Forge creations more easily than ever before. The Halo 5: Guardians Forge Content Browser not only supports custom maps and game modes, but also the ability to share and discover brand new Forge Object Groups – a new feature designed to streamline the creative process by letting players save pre-fabricated object groups such as buildings, bases, and much more. With the new Forge Content Browser for Halo 5: Forge and Halo 5: Guardians, build and share your creations across both Windows 10 and Xbox One platforms for an all-access pass to a nearly infinite array of awesome new experiences. Anvil’s Legacy also adds two new multiplayer maps to Halo 5: Guardians – both set on the Elite homeworld of Sanghelios: Mercy and Temple. Mercy is a beautiful new Arena multiplayer playspace that combines contested corridors with a mix of open sightlines. Temple is a brand new large-scale battleground built from the ground up with Warzone Assault in mind. 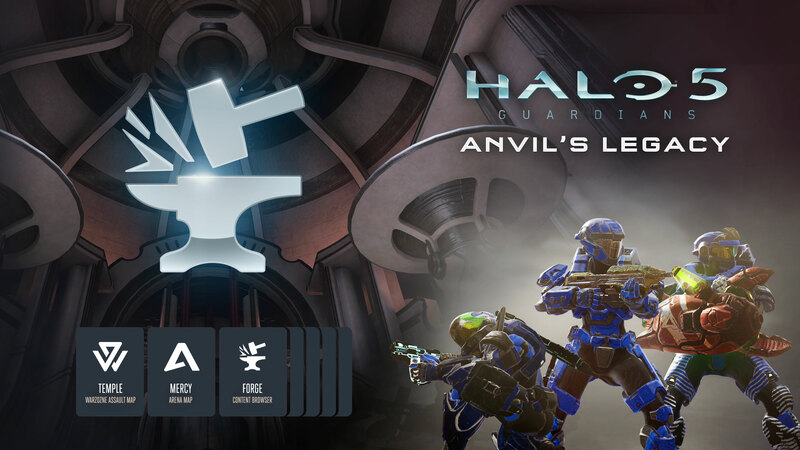 Anvil’s Legacy includes several new REQ for players to collect, including new weapons, attachments, weapon and armor skins, and more. Some fan favorite armors get a new coat of paint, and a new Magnum loadout lets Spartans pack a new powerful punch in a nice convenient package. Also launching on Sep 8 alongside Halo 5: Forge on Windows 10 PC will be the brand new Halo app, which lets you quickly and easily find, download, and launch Halo games available on Windows PCs, all while providing players with the latest news, videos, tutorials, featured community content, update notes, and more from across the entire Halo universe. We’ll have much more on the Halo app coming up very soon, so stay tuned! No matter what flavor of Halo experience you enjoy, September will be a month to remember. From the launch of Halo 5: Forge on Windows 10 PC and the Anvil’s Legacy content release for Halo 5: Guardians on Xbox One, to the next chapter in Halo esports with the Halo Championship Series’ new season and upcoming additions to the Halo universe with Halo Mythos and Halo: Fractures, there’s something for every Halo fan to look forward to. 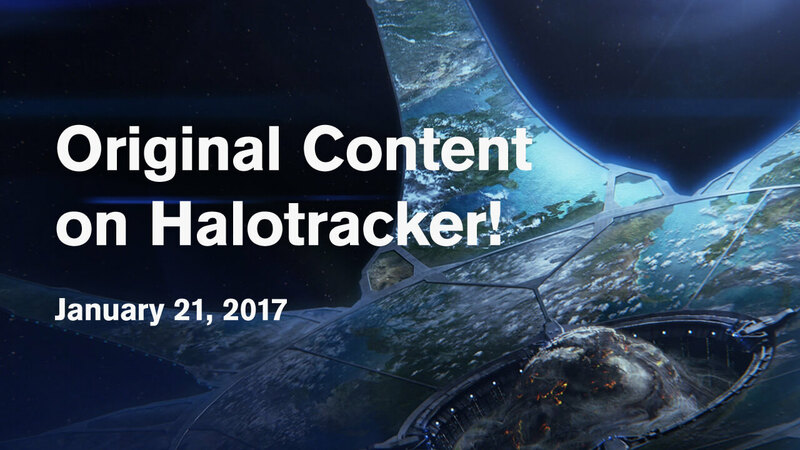 We'll have even more details to share later this week on HaloWaypoint.com in the Halo Community Update – we can't wait to see you there!